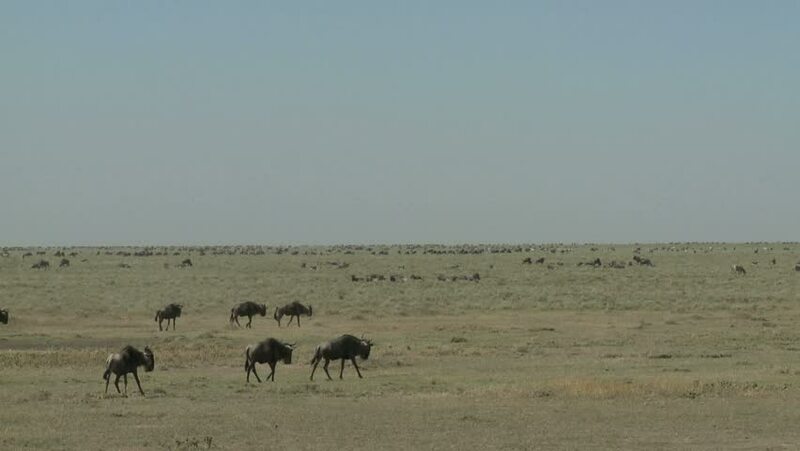 hd00:13Wildebeest migration in the Serengeti National Park, Tanzania, Africa. 4k00:15A herd of wildebeest is grazing in the fields in an African preserve. They are collected by groups for migration. Safari through national parks. Masai Mara. hd00:12A herd of animals graze in a field. 4k00:15Masai Mara, Kenya - May 2016: Zebras and gnus grazing in Maasai Mara National Reserve, Africa.